Wine of Swartland, South Africa. 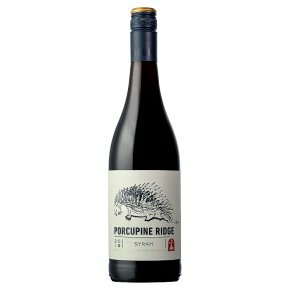 Tasting Notes Spicy, aromatic, rich, textured, French oaked and lingering The Crested porcupines are widely represented in Southern Africa. They are covered in spines and quills which when raised present a formidable fence of sharp spikes. They are noisy animals and move with a ponderous gait accompanied by much snuffling and grunting. A diet of potatoes, pumpkin and root vegetables tend to make them a problem in farming areas. They are, however, nocturnal and shy and the families that reside at Boekenhoutskloof are very welcome.